and our “written by JT LeRoy” caps. 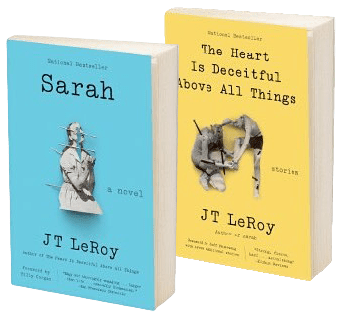 There will be future items made available in celebration of Laura Albert and the JT LeRoy books, so watch this page for updates! That means it comes from us to you!